Ronnie F. Liebowitz practices corporate law, insurance law, education law, and estates and trusts law. 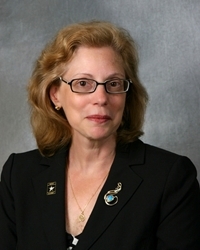 Ms. Liebowitz was University Counsel for Rutgers University from 1980-84. She was a member of the Board of Visitors of the United States Naval Academy from 1999-2002, and previously served on the Honor Concept Review Committee (1993) and the Mission Committee (1996-1997) of the Board of Visitors. She also served on the Board of Advisors of the United States Naval Postgraduate School (1996-99). Ms. Liebowitz was a member of the White House Commission on Presidential Scholars (1993-2000), and was the President of the Presidential Scholars Foundation in 1993-2000. Ms. Liebowitz has been a member of the Legal Affairs Committee of the Anti-Defamation League and Vice President, Agency Development, of the United Family and Children’s Society. She has served as a Student Disciplinary Hearing Officer for Rutgers University. Ms. Liebowitz has been a member of the Board of Trustees of Temple Sholom in Fanwood-Scotch Plains, New Jersey, and co-chair of various committees of the Temple. Ms. Liebowitz is a member of the Bars of New Jersey, the United States District Court for the District of New Jersey and the United States Court of Appeals for the Third Circuit. Member, 1974-1975 and Associate Editor, 1975-1976, Journal of International Law and Politics of New York University. University Counsel, Rutgers, The State University, 1980-1984. Commissioner, White House Commission on Presidential Scholars, 1993-2000. President, Presidential Scholars Foundation, 1993-2000. Presidential Appointee, Board of Visitors, U.S. Naval Academy, 1999-2002. Member, Board of Advisors, U.S. Naval Postgraduate School, 1996-1999. Former Student Disciplinary Hearing Officer, Rutgers, The State University. Vice President, Agency Development, United Family and Children's Society, 1991-1996; Board Member 2014—. Member, Legal Affairs Committee, Anti-Defamation League, 1992-1997. Member, U.S. Naval Academy Board of Visitors Honor Concept Review Committee, 1993. Member, U.S. Naval Academy Board of Visitors Special Committee, 1996-1997. Member, Board of Trustees, Temple Sholom, 2007-2013.